Looking for some gift inspo for some soon to be newlyweds in your life? Look no further! If you’re after an alternative to cash or want something sweet that they’ll cherish for years, there’s some fab pieces you can pick up from beautiful paintings to gorgeous gift boxes. Check out some of our fave wedding gifts below that are sure to be a hit with the happy couple! If you’re looking for a gorgeous personalised gift the newlyweds will treasure forever, this one is perfect! 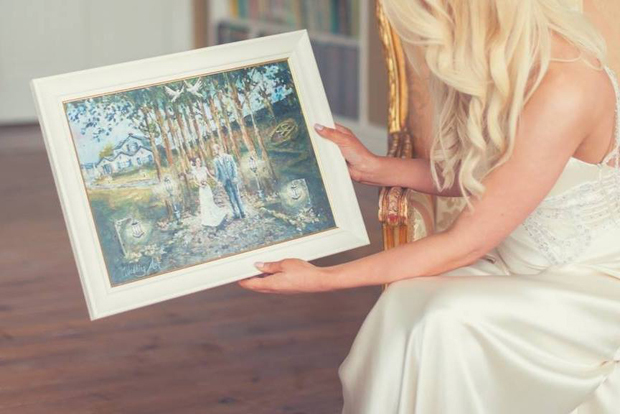 Wedding Art create one of a kind fine art oil paintings inspired by the wedding couple and their story. It has up to five key scenes such as where they met,where they got engaged, their wedding venue and other important symbols, combined to create a unique and truly beautiful painting. It would be a fab reminder of such a special time and one gift they’ll be dying to hang on the wall – find out more here. 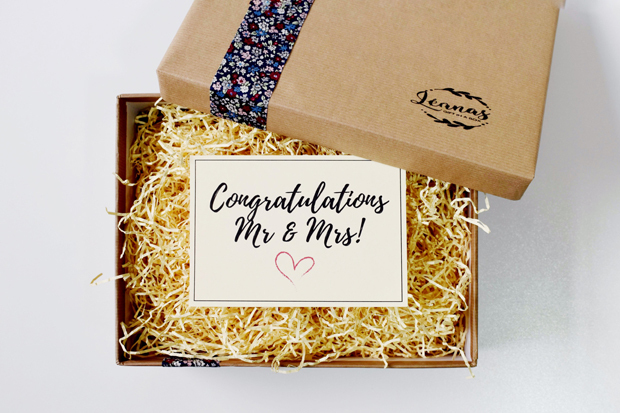 We love a good hamper and this one from Léanas Gift in a Box is made with newlyweds in mind! They specialise in gorgeous vintage style gift boxes with products sourced from locally based Irish small businesses where possible. 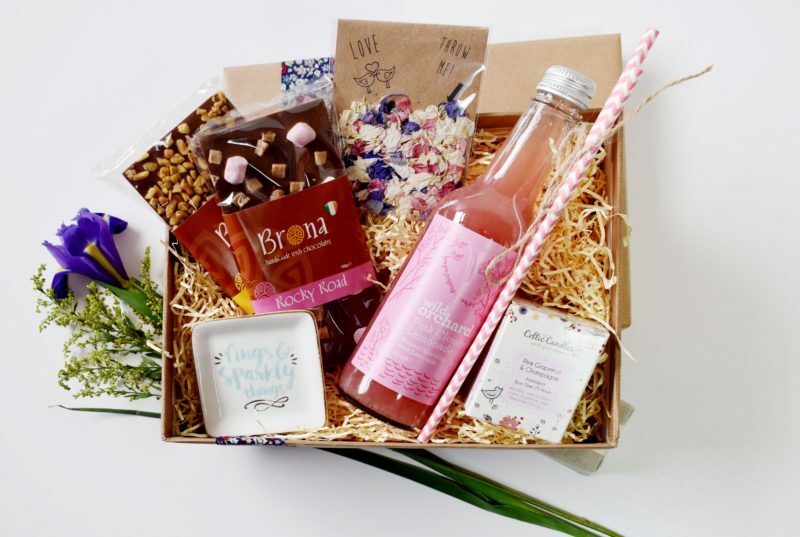 This keepsake ‘Happy Couple’ gift box comes with a ‘Rings & Sparkling Things’ Ring Dish, scented candle, homemade lemonade, handmade chocolate, confetti and card so they can enjoy their own personal mini celebration! Browse their other options here including engagement boxes, as well boxes for brides, grooms and bridesmaids amongst others. 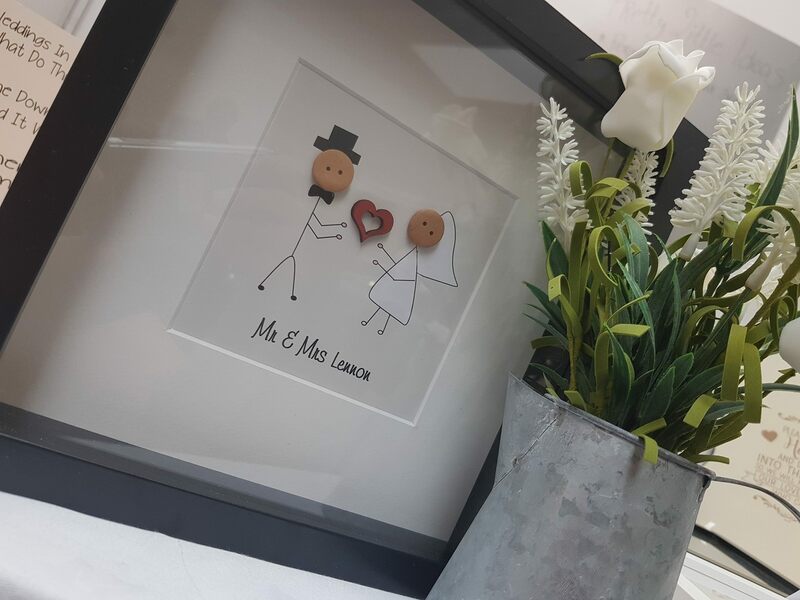 Pretty Little Ideas are an Irish company that make unique, personalised boxed frames for all the bridal party including this adorable one for the happy couple! They also stock gorgeous gift boxes and tags for brides, grooms and bridal parties as well hanging wooden hearts, freestanding wooden letters and all sorts of other beautiful personalised goodies so it’s the perfect to spot to have a browse if you’re after a special wedding pressie. Click here to see their full range! 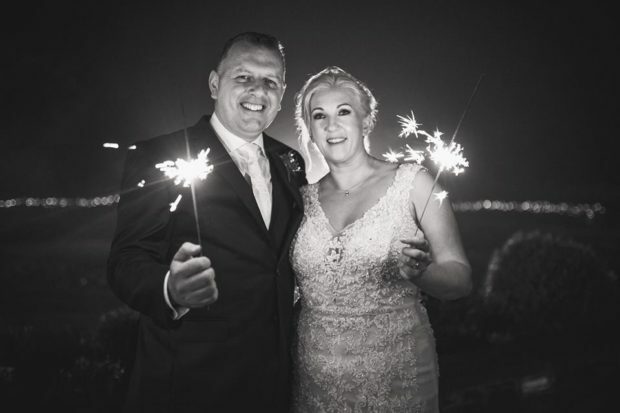 If the happy couple have put together a gift list with the likes of The Wedding Shop, it’s the perfect opportunity to pick up an item you know they’ll adore and might not have wanted to splurge on themselves! 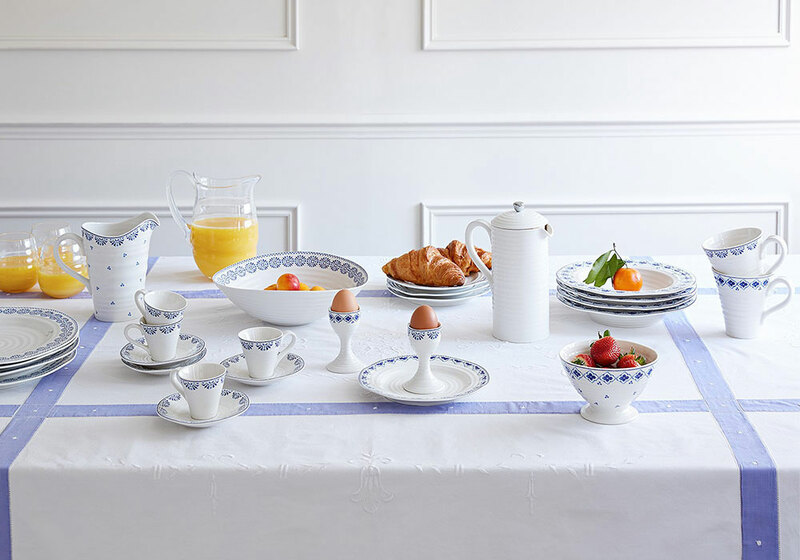 From beautiful throws and cushions to artwork, nifty gadgets and insanely pretty dishware (couples also have the freedom to combine fab gifts with memorable experiences or honeymoon and cash contributions or donations to a charity close to their heart), you can scroll through their list of coveted items to find something you know they want (as they’ve picked it!) and something they’ll cherish for their home for years to come. Win win all round! Your pal’s wedding will be full of special memorabilia from their invites to the place cards from the top table! So if you’re looking for a sweet and thoughtful gift as a little nod their big day, a keepsake box is perfect. This personalised wooden box from River Lane Memories is a classic and timeless piece that can be personalised with their name and wedding date and will be something they can turn to over the years as a reminder of their Big Day. If you’re after a gorgeous token the couples will have as a reminder of their day, look no further! Irish online company WowWee.ie is home to a range of fab gifts for everyone from the bridal party to the happy couple themselves. 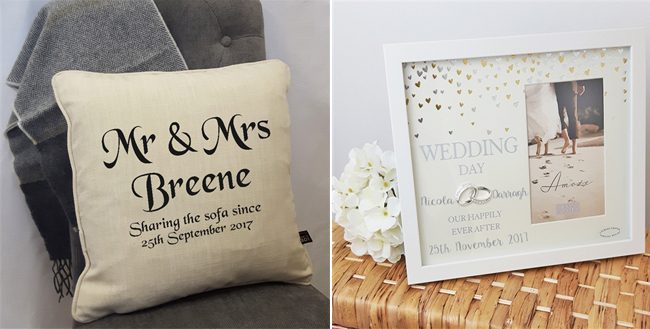 They’ve got some fun pieces that newlyweds will love including wedding frames and personalised cushions. They also stock a His & Her towel gift set, personalised Christmas decorations and a Personalised Fairy Door if you’re after something unusual! Shop their range here. 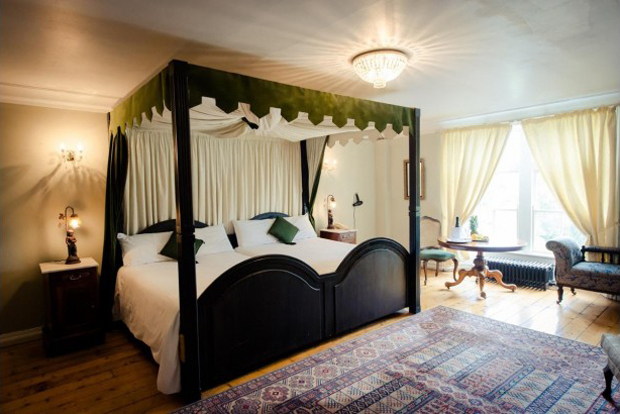 If you’re looking for a fun alternative to cash, you could gift the newlyweds a night away! After all the wedding madness, they’ll love the opportunity to jump in the car or on the train and enjoy a day away making memories. If you’re after some inspo, take a peek at these incredible minimoon destinations in Ireland. Or if you don’t fancy choosing a hotel, another cute options is tickets to a gift or comedy show or a voucher for their favourite restaurant.